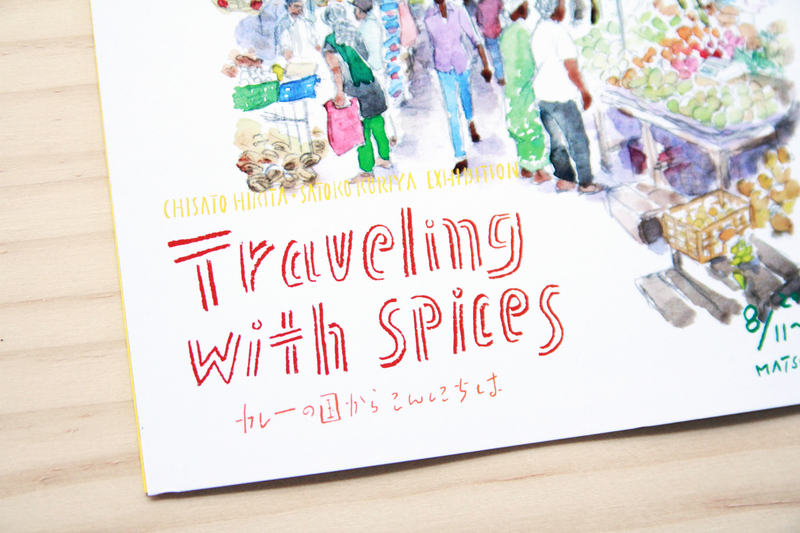 Chisato Hikita is a good photographer and especially taking photos of portraits and cooking are her strongest subjects. 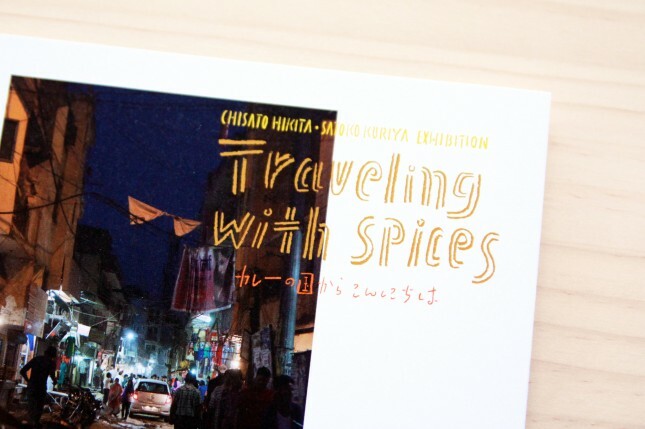 You will have seen her photos in many printed matters without knowing the photos taken by her. 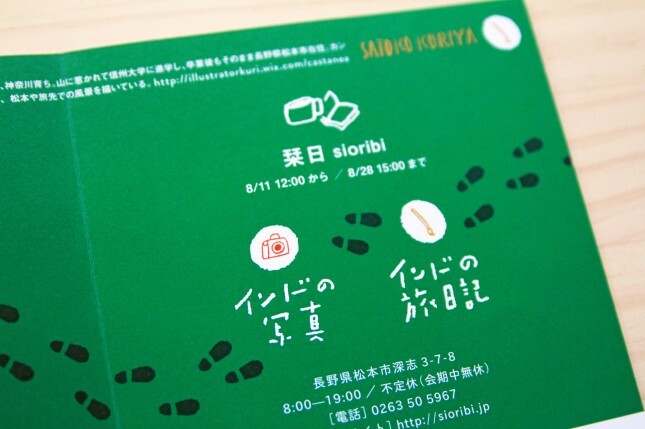 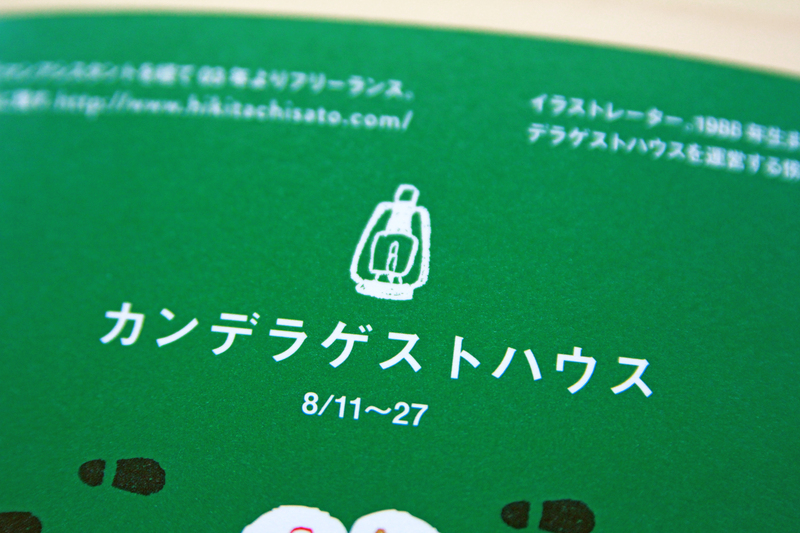 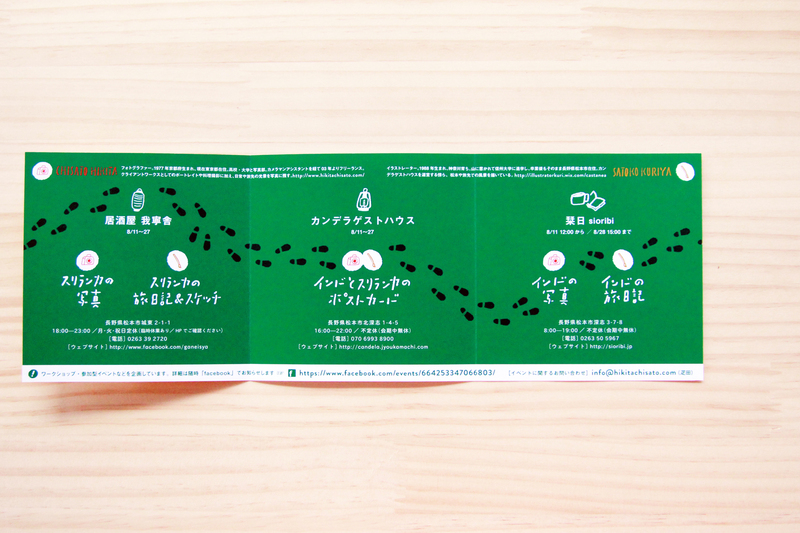 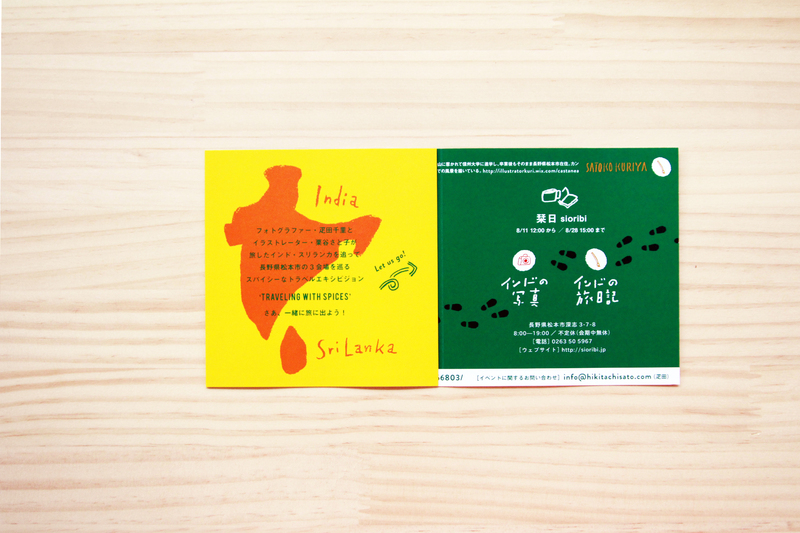 Because of designing her business card in 2014, I have been designing her post card and her exhibition flyers. 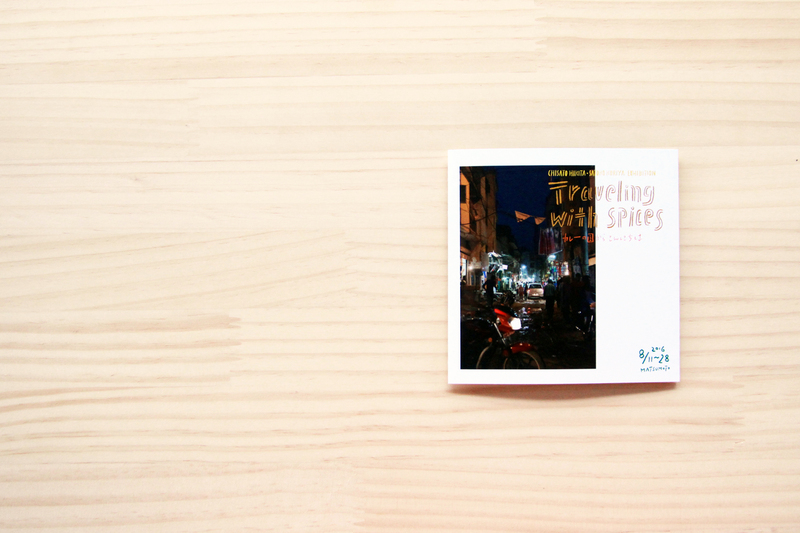 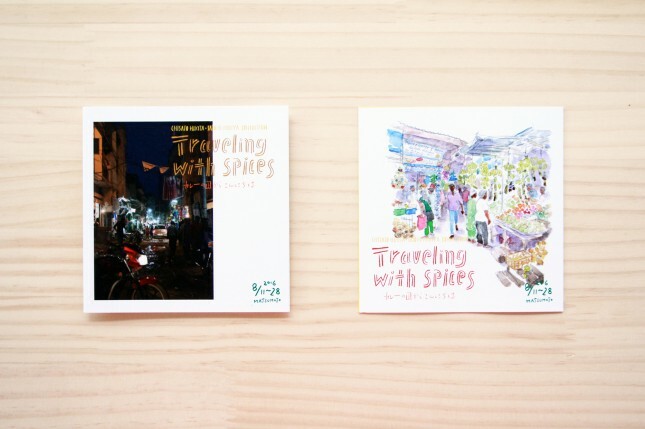 This time, I designed the invitation card for her new exhibition ‘Traveling with spices’ about India and Sri Lanka with her friend artist Satoko Kuriya. They will express the charm of both countries by their expressive style—photograph and illustration.